Woo-Soo (Choi Soo-Jong) grew up as an orphan. His life was full of anger, exacerbated by being poor. One day, Woo-Soo meets some kids. The children makes Woo-Soo realize that even though he is poor, he can still share with others. This changes his life. Woo-Soo works as a delivery man for a Chinese restaurant. He makes $700 dollars a month. He shares his earnings with the kids. Woo-Soo hears someone say "thank you" for the first time to him. He cannot possibly be any happier. 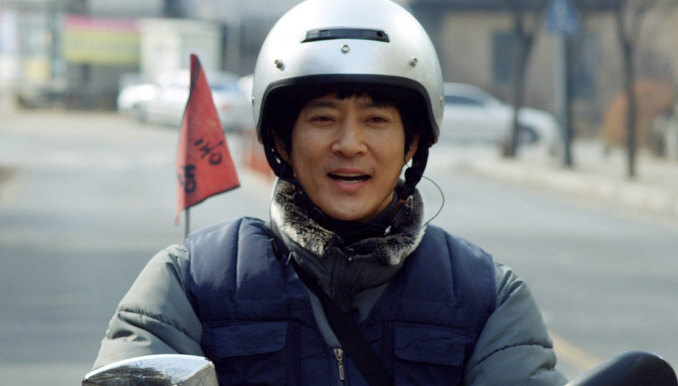 Things abruptly come to a halt when Woo-Soo gets involved in an accident.